Endodontie / Endodontics Terry, Douglas A. Describes the techniques available to dentists to provide anaesthesia of the teeth and surrounding structures. The management of failure, safety issues, and methods of reducing injection discomfort are also described. 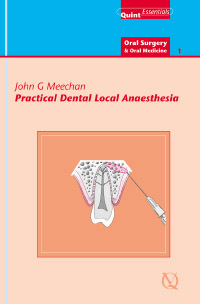 Chapter 09: Painless Local Anaesthesia: Is It Possible?